This month challenge was to “try something new”. I teamed up with a collegaue (not new, we did this before) and we used a tool new to us: Datawrapper . We allowed ourselves to play around for an hour, after that we created the final chart from scratch in 30 minutes. We have never used Datawrapper before. We were impressed by the possibilities and ease of use of Datawrapper. The free account has interesting options, but we missed some finetuning possibilities. The price for a paid account is to high for our use, because we will not use it daily. Datawrapper focusses on journalists working in a newsroom. 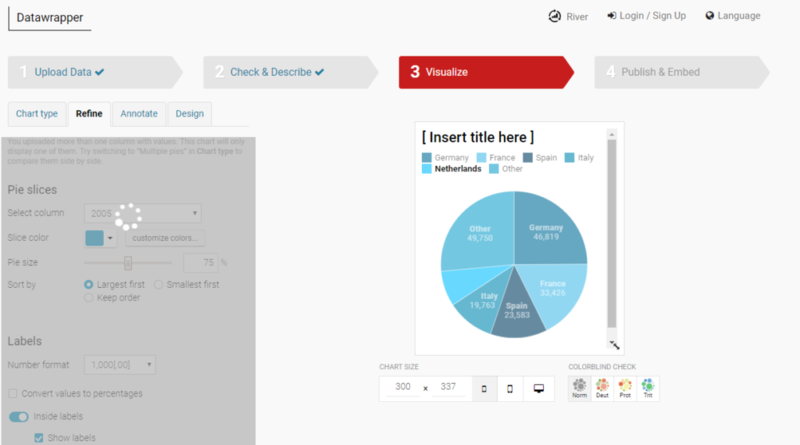 Datawrapper uses 4 main steps to guide you through the process of making a datavisualisation. I use them below to describe what we experienced. The copy paste functionality is very easy. Other upload functionalities are available. In the search for a great dataset, we found this tweet, that contained a nice table, related to Brexit. 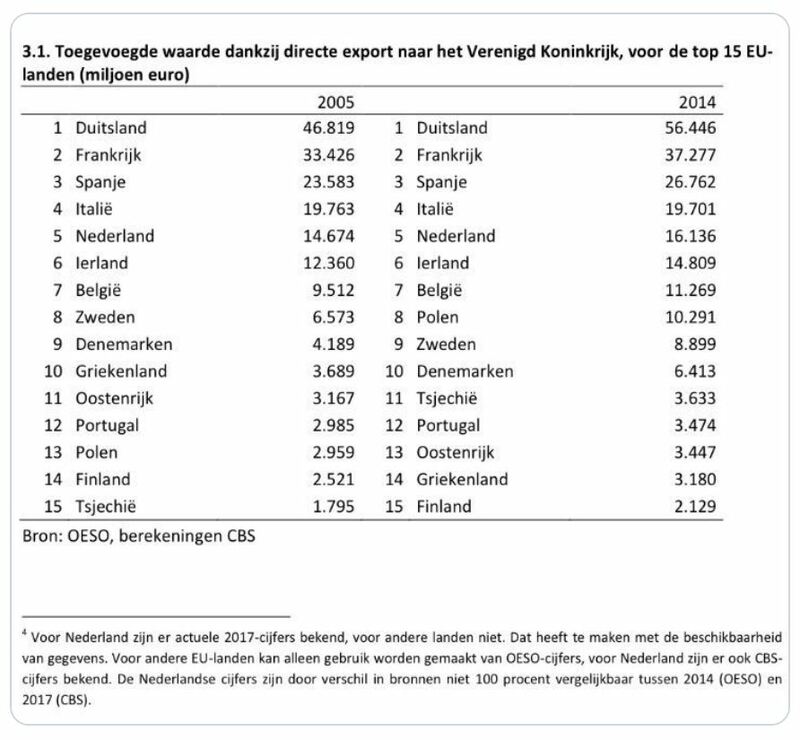 We wanted to change this table into a slopegraph with the help of datawrapper. Because the country names are in Dutch we had to translate them into English. We did this in Excel en then copy pasted the data into datawrapper. 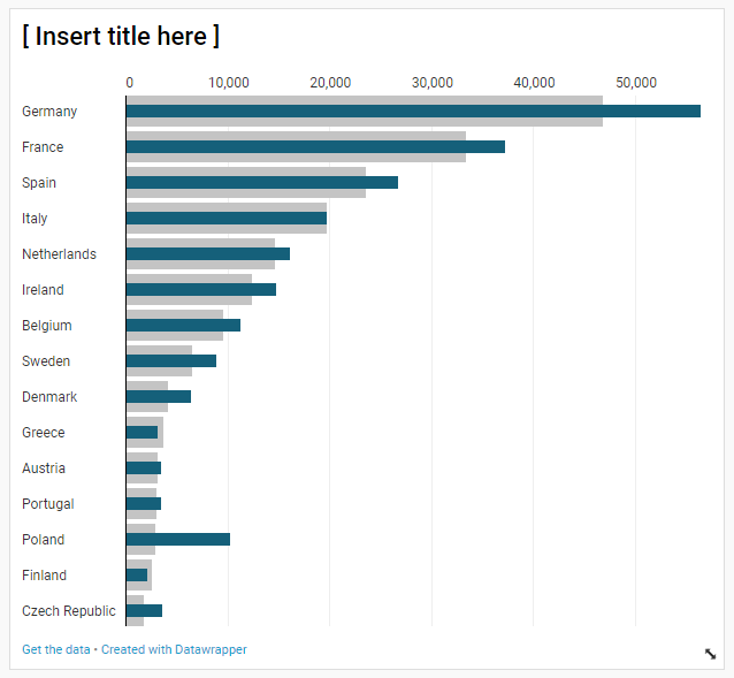 Datawrapper shows distributions of your uploaded dataset. This error was easy to fix, because we could override the automatic settings. 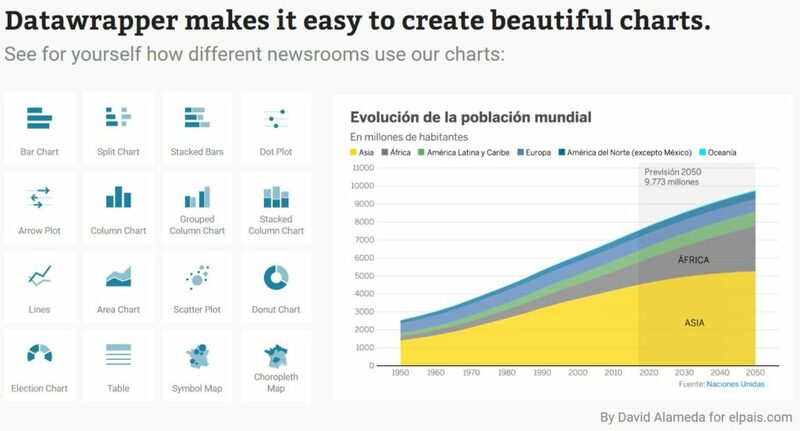 You can choose from 20 different charts and three types of maps. 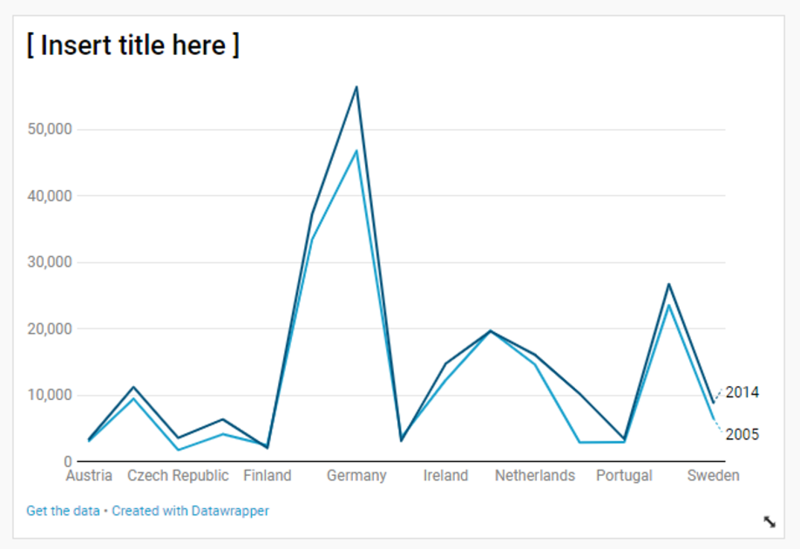 Datawrapper suggested the linechart below for our data. Strangely it put the categories on the x-axis. So the chart choice algorithm might need some new learning. After transposing the data and tweaking it around a bit, we had the rough outline for the slopegraph we were aiming for (see below). 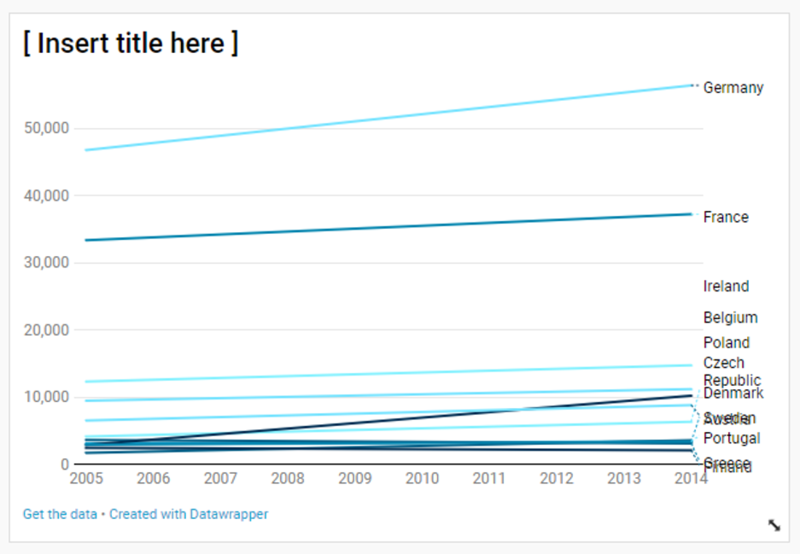 The slopegraph is not a chart type in Datawrapper, but it can be made with a linechart with two timestamps. 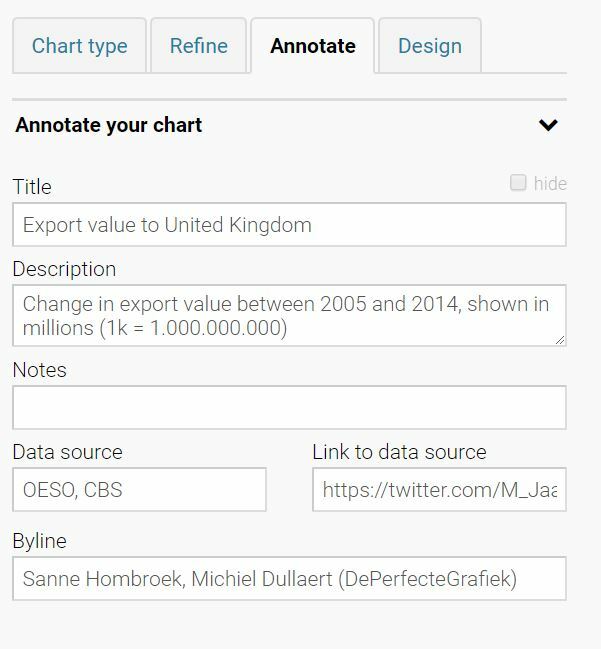 In datawrapper it is very easy to switch between charts. So we tried all of them, including this light version of a bulletgraph. In the picture below we already used the refine option to change the sorting and colors to our liking. Each chart has its own type of refining with a lot of interesting elements to play with. In the image below you can see some examples. 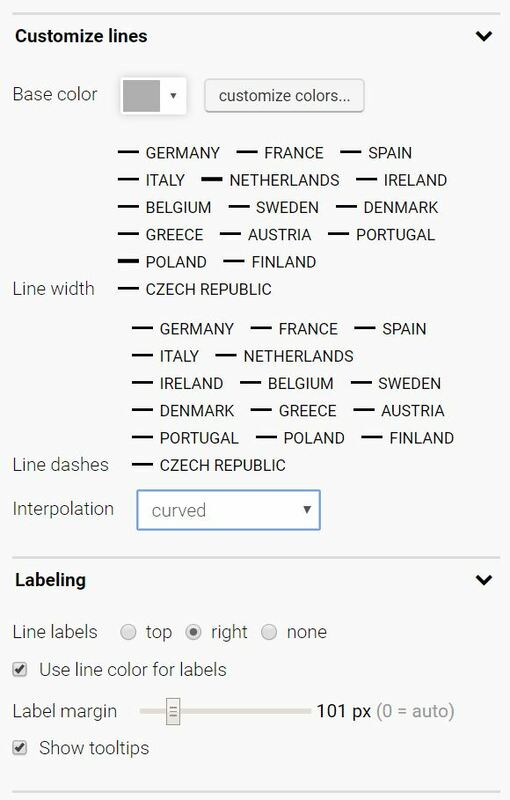 One of the features that impressed us was that, within a table, country codes could automaticly be changed into flags. The annotation in datawrapper is functional but basic. It is easy to type in the title and it is style nice. But, we could not find a way to modify the styling of the text (color, font) within the title or description. In the free account you can only share this by embedding or sharing the link. As we did in the visual on top of the article. Export to PDF or PNG is not available. We got the (static) images by making a lot of screenshots.